Our suppliers of textile dyes and auxiliary chemicals are internationally renowned, well established in the market with a proven track of business record, always innovative to meet the Customers expectancy and above all commercially viable. An internationally renowned textile dyes manufacturer in Ahmedabad. Has very strong R&D backup – resulting in continuous improvement. All application suitability, such as Exhaust, E-Control& CPB application from same dyestuff Inventory. High degree of exhaustion & fixation resulting in excellent build up properties, excellent reproducibility and low effluent loading. Meeting all Stringent Fastness norms like high fastness to light along with high fastness to chlorine, non-chlorine, multiple wash etc. Meeting all Stringent Post Fastness norms like fastness to mercerization, oxidative wash etc. This Company originated from Cognis Ahura is now the Indian affiliate of Pulcra Chemicals Gmbh, Germany. This Company manufactures a wide range of products spanning the entire process chain in textile field from spinning preparation of fibre and yarn production through all stages till finishing. With operation in five continents, with association in this field for more than 125 years and backed up by strong Research and Development, another feature of this supplier is the frequent visits Texperts(technical experts) whose visits can be utilizedtechnical support. High performance products of this supplier provide system solutions for increasing the productivity and environmental compatibility of complex manufacturing processes. 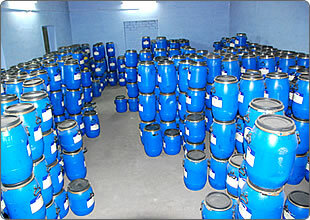 Supplier : M/s National Peroxide Limited,Kalyan, Mumbai is a pioneer in India for peroxygen chemicals is the largest manufacturer of Hydrogen Peroxide in India with the most modern and updated plant. It is to be noted that the above companies are holders of Quality and environmental certificates. 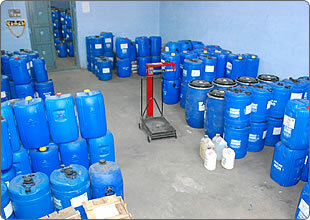 Supplier : M/s Fineotex Chemical Limited is a pioneer in India for peroxygen chemicals is the largest manufacturer of Hydrogen Peroxide in India with the most modern and updated plant. is a Public Limited Company, ISO 9007:2000 & ISO 14001:2004 certified professionally managed group. Fineotex is one of the leading manufacturers of chemicals for textiles, construction, water-treatment, fertilizer, leather and paint industry, especially binders and thickeners for pigment and reactive printing. They also produce adhesives used in several industries like wood, paper etc. Shivasakthi Marketingand its sister concerns has a well knit organization with Mr. Siddhuraj as its head supported by young energetic corporate members, highly dedicated middle management and faithful shop level work force. Possess soft skills required for marketing like good communication, leadership, negotiation, listening, time management, problem solving and decision making. "OUR FOCUS IS ONLY ON ALL AROUND GROWTH"